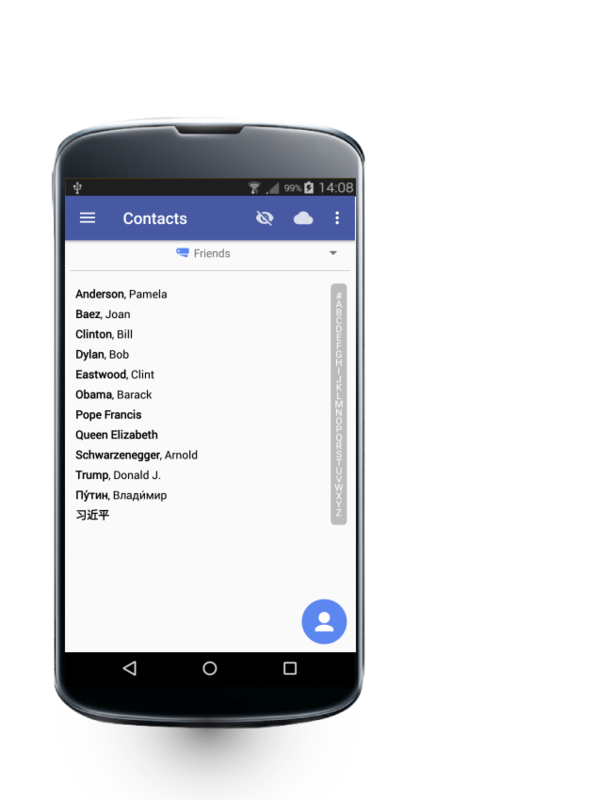 In this section you can save and organize all your contacts. 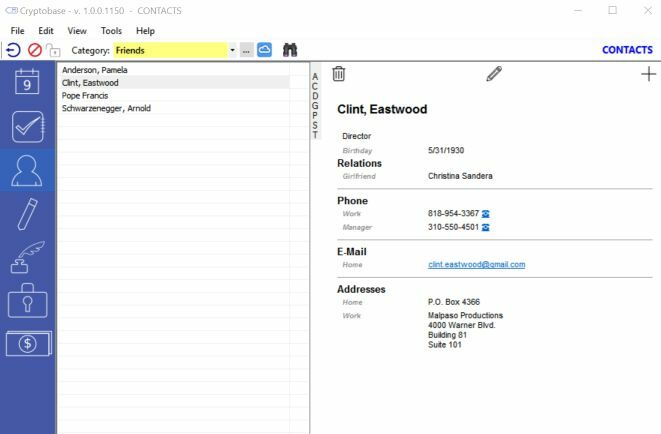 Those who use standard type contact lists and applications, available for desktop computers and mobile devices, will not notice much difference when switching to Cryptobase Contacts. With the difference that every single contact is encrypted with a random keyword before being saved. 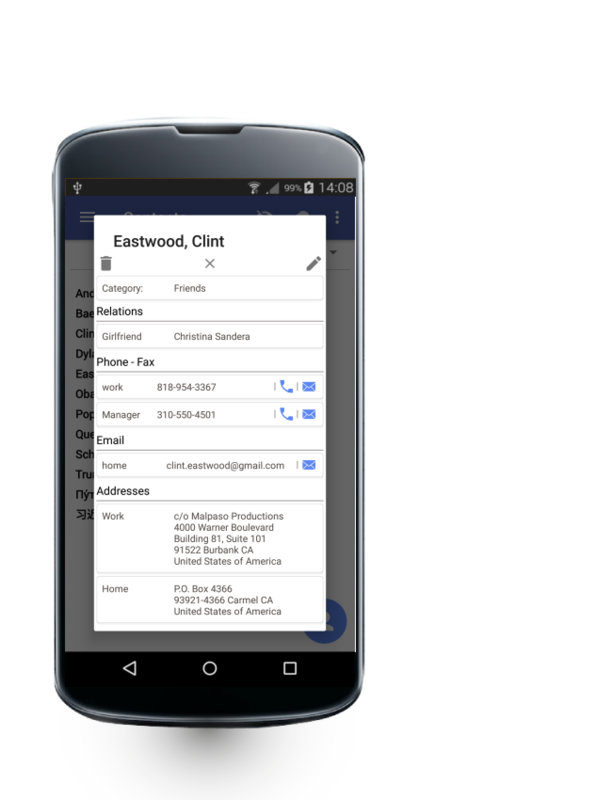 Different contacts are stored with different keywords. This makes it practically impossible for intruders to use your data. In addition, particularly sensitive contacts can be marked as "private" and will disappear from the screen at the hit of a button (or automatically if the app has not been in use for a couple of minutes). To show them again you are required to enter the PIN or (after entering a wrong PIN once) the main password. 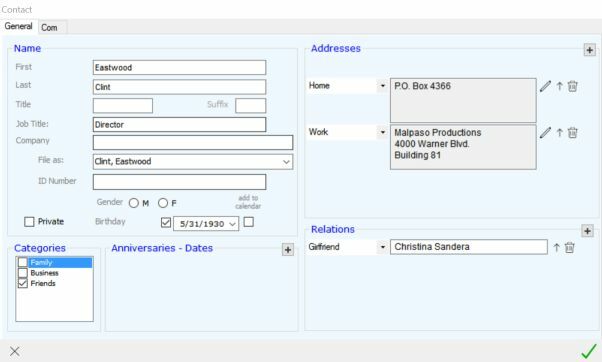 You can create any number of categories in addition to the default "Unfiled" category. List all contacts or only those belonging to one category. There is no limit in number of contacts that can be saved. 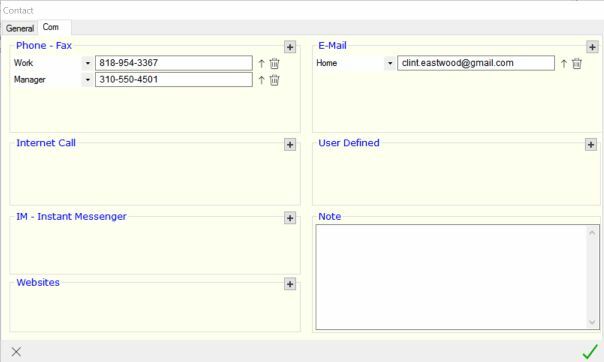 You can also import your contacts from Gmail or Outlook. Highly sensitive contacts can be marked as "private" and will disappear from the screen at the hit of a button or when the app has not been used for a couple of minutes. To show them again you are required to enter the PIN or (after entering a wrong PIN once) the main password.